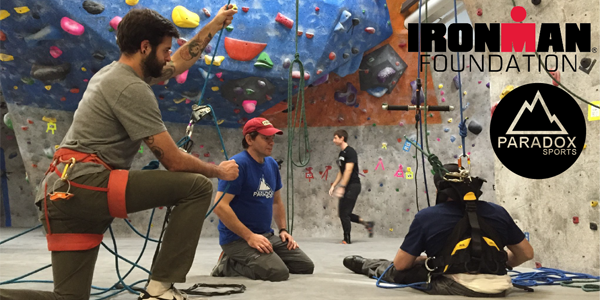 The IRONMAN Foundation® will partner with Paradox Sports to host an adaptive rock climbing clinic for visually impaired athletes. Paradox Sports, a non-profit organization based in Boulder, Colorado provides youth, adults and military veterans with physical disabilities the opportunity to get outside. The service project taking place on Friday, June 8 at Boulder Rock Club will bring together Paradox Sports, IRONMAN Foundation Ambassadors, and IRONMAN® athletes and volunteers. Paradox Sports will introduce nine visually impaired athletes and IRONMAN athlete volunteers to the sport of adaptive climbing, providing hands-on experience climbing and guiding. 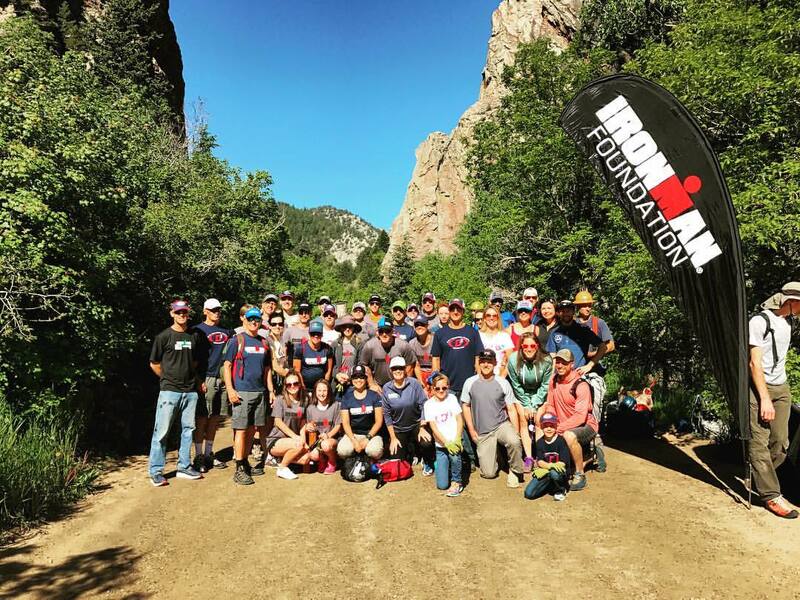 In addition, the IRONMAN Foundation will distribute $60,000 in charitable giveback to non-profit initiatives and groups in the Boulder region in conjunction with the 2018 IRONMAN Boulder triathlon taking place on Sunday, June 10. Scott Leason, a Challenged Athletes Foundation (CAF) triathlete, surfer and water-skier. Scott lost his sight in 1993 when he was shot in the head during a convenience store robbery. The bullet missed Scott’s brain but resulted in the loss of both of his eyes and his sense of smell. He has competed in multiple IRONMAN races and was the only visually impaired athlete on Team USA at the ISA World Adaptive Surfing Championship presented by CAF. Jackie Faye, the first woman to race six IRONMAN events on six continents in one year. A military journalist with over a decade of experience, she is also the founder of She Can Tri, a nonprofit dedicated to empowering girls and women. At this year’s IRONMAN Boulder, Jackie will run the last 1.68 miles wearing a 20-pound bullet proof vest to honor the 168 US service women who have died in combat in Iraq and Afghanistan. Mike Reilly, IRONMAN Foundation Ambassador Team Captain and the Voice of IRONMAN. Rachel Joyce, pro triathlete and multi-time IRONMAN champion including 2017 IRONMAN Boulder. Rachel serves on the advisory committee for Women For Tri, a program dedicated to breaking barriers and bringing more women into the sport of triathlon. Derek Fitzgerald, IRONMAN Foundation Ambassador and the first American heart transplant recipient to complete a full-distance IRONMAN race. The IRONMAN Foundation Community Fund provides community and volunteerism grant opportunities to non-profit organizations where IRONMAN events are held. This year’s grant funding brings the total giveback to more than $586,000 in the region since the first event in Boulder. In 2018 the IRONMAN Foundation will distribute more than $1.7 million in grant funding to support the needs of IRONMAN race communities. For more information on the IRONMAN Foundation, please visit www.ironmanfoundation.org.